[GARE Members] Register now for the 2019 GARE Annual Membership Meeting: GAREing up for Impact! 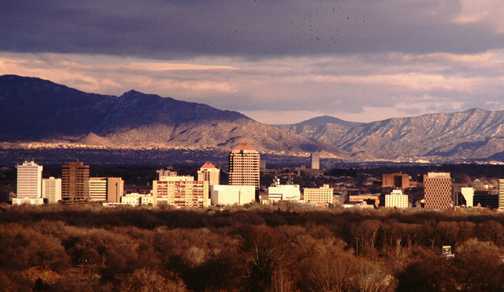 GARE is happy to announce that the City of Albuquerque, New Mexico, will host our 2019 Annual Membership Meeting! 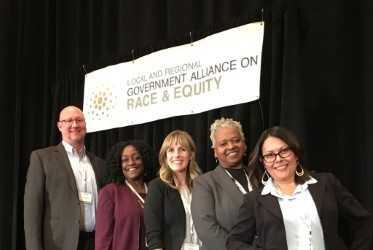 As a GARE member, the City of Albuquerque has furthered its commitment to advancing racial equity. Mayor Tim Keller’s newly formed Office of Equity and Inclusion has focused on equity in city employment, procurement, and capital improvements. Core Membership jurisdictions are eligible for a limited number of complimentary registrations. Please contact your jurisdiction point of contact for further details. 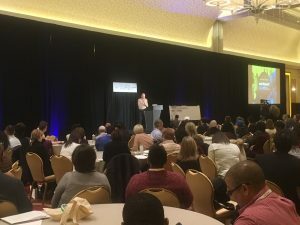 Last year, many of you were able to join us in Chicago for the most successful membership meeting to date, where more than 320 representatives from 66 jurisdictions came together to swap tactics, gain inspiration, and build momentum for this growing movement to advance racial equity. This year promises to be even more sensational as GARE moves into its fifth year of building a national network of local government! GAREing Up for Impact will explore how, as this movement comes of age, we demonstrate that the change we believe is critical for our communities is not only possible, but is happening. The event’s theme is GAREing Up For Impact!, exploring how as our movement comes of age, we are demonstrating that the change we believe is critical for our communities is not only possible, is happening. The event will be designed to support teams representing the breadth of knowledge and skill-level of your jurisdiction. The event will feature some of the things you’ve loved about past gatherings and some new features incorporated by popular demand. 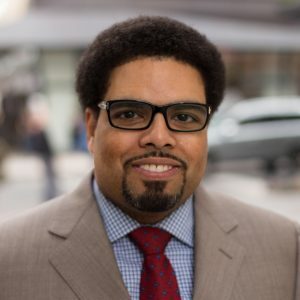 Darrick Hamilton is the Executive Director of the Kirwan Institute for the Study of Race and Ethnicity at The Ohio State University. In addition, Professor Hamilton holds a primary faculty appointment in the John Glenn College of Public Affairs, with courtesy appointments in the departments of economics and sociology in the College of Arts and Sciences.Professor Hamilton is a pioneer and internationally recognized scholar in the field of stratification economics, which fuses social science methods to examine the causes, consequences and remedies of racial, gender, ethnic, tribal, nativity, etc. inequality in education, economic and health outcomes. This work involves crafting and implementing innovative routes and policies that break down social hierarchy, empower people, and move society towards greater equity, inclusion, and civic participation. A working version of the Program is available here. The program will feature Keynote Speakers, Regional Caucuses, , Learning Labs, Networking Sessions, and more. Site visits in partnership with the City of Albuquerque. 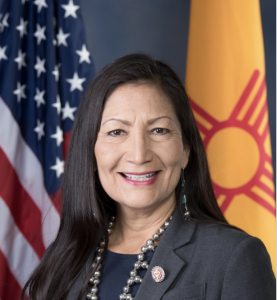 The 2019 GARE Membership Meeting is in Albuquerque April 16 to 18. This annual event is open only to members, so if your jurisdiction has been considering joining GARE, now is an opportune time. If you aren’t a member, there will be opportunities to participate in workshops on April 16th. Practices for Racial Equity in Supervision and Human Resource Advising: A Workshop for Supervisors, Managers and Human Resource Professionals. Advancing Racial Equity in Local Justice Reform Initiatives: A workshop for elected officials, judges, law enforcement leadership, and local leadership with interface and decision making authority regarding criminal justice related policy, practice, procedure, or initiatives. Learning Lab: Lab sessions are 2 hours time blocks for skill-building and in-depth trainings led by members and GARE Staff. Breakout Session: Breakout sessions are 1 hour and 30 minutes long and provide an opportunity for members to lead panels, peer exchanges, or workshops. Networking Session: Open space will be provided during the conference to give members an opportunity to connect in more informal settings regarding their work. Networking proposals can include a particular topic and/or an offer to lead an open space. GARE has two official conference hotels. There is limited availability at the Doubletree by Hilton and at the Hyatt Regency. Click here to register for the 2019 GARE Membership Meeting! Please note that this event is open to GARE Members only. To learn more about applying for membership please visit our Membership page or contact rwyant@raceforward.org.